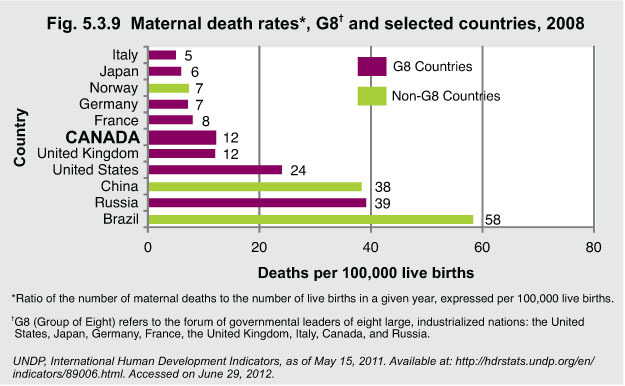 In 2008, there were 12 maternal deaths for every 100,000 live births in Canada. Among G8 countries, Canada’s rate was higher than those of Italy, Japan, Germany, and France, and the same as that of the United Kingdom. Canada’s rate was lower than that of the United States and Russia for the same year.